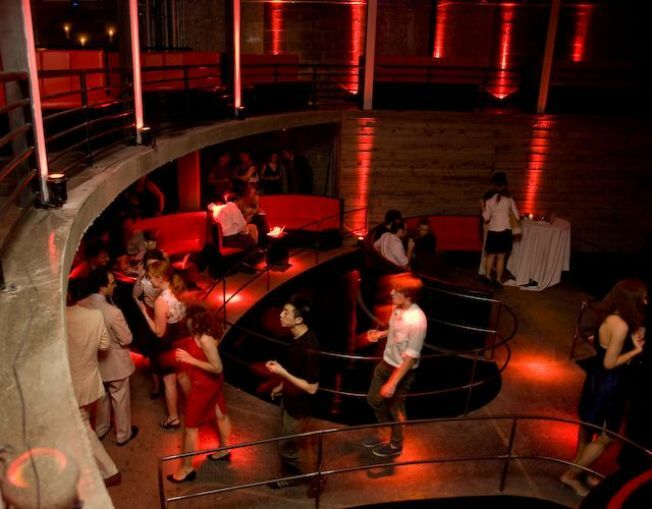 Inside the Galapagos Art Space in DUMBO, Brooklyn. After Galapagos Art Space shuttered their Williamsburg doors last spring, it's directors were looking at Berlin as a potential new home for their unique cultural venue, which featured a full indoors pond. But luckily, they found a new home in DUMBO on the corner of Water and Main Streets in a "beautiful new space" that can hold over 220 people (standing). At the time, the directors were excited to have the city's first "LEED certified ‘green’ cultural venue". Now that they've had a chance to get settled, they've begun hosting a slew of cultural events into their Brooklyn home. This weekend brings a great chance to check out the new digs, as they welcome film-lovers to The World According To Shorts, presented by New Yorker Films (tickets). The $5 95-minute mini-film festival combines six short films with a varying range of genre and mood, picked to give audiences a taste of "up-and-coming innovative directors from across the globe". McBrooklyn notes it follows shortly after their 2-for-1 Happy Hour (5-9pm), giving you a great reason to get their early and check out their 1600 square foot lake - a significant improvement on their so-called "Williamsburg pond" from the old place. Galapagos is located at 16 Main Street at the corner of Water Street, Dumbo, Brooklyn. To get there, take the F, A, 2/3, G, or the L.